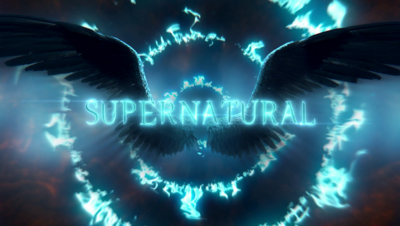 It was announced on 2nd April 2018 that Supernatural had been renewed for a 14th season. On 1st October, Jared and Jensen attended an advance screening of the Season 14 premiere hosted by Samantha Highfill of entertainment Weekly. Tickets to the event were available to the magazine's subscribers. 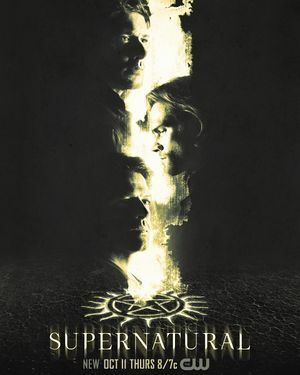 The Production office in Vancouver reopens in preparation for filming of Season 14. 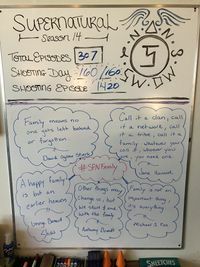 The Production office in Vancouver final board on the last day of shooting of Season 14. Pages in category "Season 14"
Media in category "Season 14"